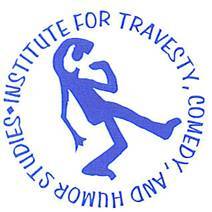 to the Institute for Travesty, Comedy, and Humor Studies (ITCHS). ITCHS was established for the research and study of comedy as a dramatic form and of humor, the spice of comedy. ITCHS uses a variety of research methodologies from multiple disciplines, notably including literary criticism, rhetoric, and the empirical sciences. Excerpts from Comedy in Space, Time, and the Imagination. ITCHS is the home of the Humor Quotient Newsletter and the designer and administrator of the Humor Quotient Test and the Langerian/Bergsonian Vitalist Humor Test. We hope that students of literature, psychology, sociology, and other disciplines will find useful sources in the e-volumes we publish here. ITCHS is at its core a collaborative effort. We are proud of thousands of volunteer associates who have made our research discoveries possible. And we are constantly looking to increase the number of scholar affiliates with whom we continue our efforts. If you are a humor scholar, a comedy scholar, a scholar in a related field like travesty or satire, or especially if you are a graduate student looking for a dissertation topic and institute affiliation, we want to hear from you. We are experts in research design and quantitative analysis, and we are anxious to consider possibilities for collaborative research and publication. Queries of ITCHS should be directed to Paul Grawe, Project Director, ITCHS@hbci.com.